Micro card reader. - Reader for photos, video, music and data. NIB Fujifilm Floppy Disk Adapter FD-A1 for Smart Media, for Windows 95 . Condition is New. GENUINE SANDISK PRODUCT. 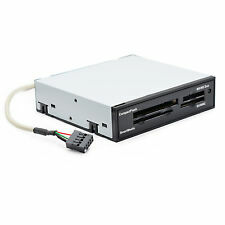 USB AND SD CARD READER VIA USB PORT ON PC. USB 3.0 READER/WRITER. FAST TRANSFER OF PHOTOS AND VIDEOS. Comply with the USB2.0 standard, backward compatible with the 1.1. Support hot plug, plug and play. Otherwise deal is final. • XD Picture Cards: M, XD, M , H. Setting up this 9cm long device is easy for any Windows or Mac user. • Detachable USB cable. KEY FEATURES • Case Material: Plastic. Reader, as pictured. However, your item. Adapter Cards. What You See in the Pictures is What You Will Receive. Interface type: USB 2.0, Cable length: 0.6 m. Data transfer rate: 480 Mbit/s. Product colour: Black. The card reader works with Belgian ID cards and other national ID cards and can also be used with bank cards and other smart cards. If the exact item is not available, we will substitute the item with a similar item of equal or greater value. WELCOME TO WOLF'S! (THIS ITEM IS BRAND NEW IN THE BOX!) OLYMPUS FLASH PATH FLOPPY DISK ADAPTER FOR SMARTMEDIA **MORE PHOTOS AND DETAILS ARE AVAILABLE UPON REQUEST. ** [Track Page Views With Auctiva's FREE Counter] (https://pages.ebay.com/seller-center/listing/listing-advanced-sellers/third-party-listing-tools.html#auctiva). Support USB 2.0 Good compatibility. 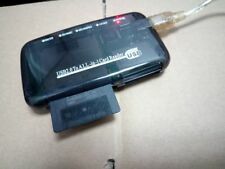 Plug and play, high speed data transfer. The images are for reference only. Compact Flash: CF I, CF II, CF Ultra II. 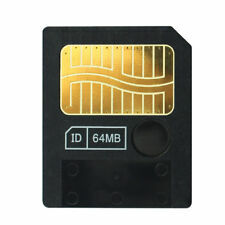 • XD Picture Cards: M, XD, M , H. Setting up this 9cm long device is easy for any Windows or Mac user. 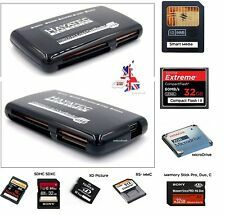 • Secure Digital: SD, SDHC, miniSD (Requires SD Adapter),miniSDHC (Requires SD adapter), microSD/TransFlash (Requires SD adapter), micro SDHC (Requires SD adapter).